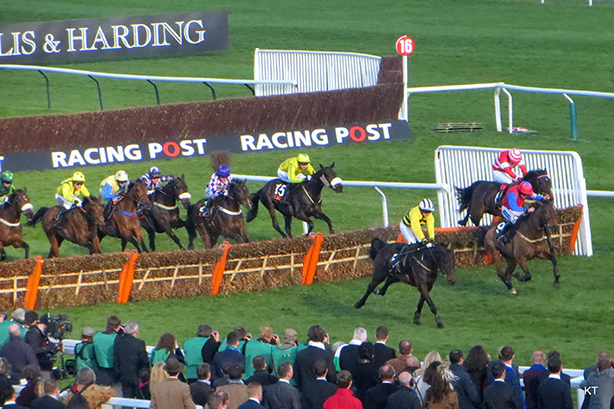 Ready10 has been appointed to a creative content and PR-for-SEO brief for leading horse-racing and sports publisher the Racing Post ahead of the Grand National, PRWeek can reveal. The win is the agency’s first publisher client and will see Ready10 working across Racing Post’s entire portfolio, including the racingpost.com, native apps, daily newspaper, its Soccerbase website and weekly supplements. Ready10 picked up the business after a competitive pitch process, and will be charged with implementing creative content strategies around marquee sporting events. The partnership jumps out of the gates at this weekend’s Grand National festival. Ready10 has designed an interactive horse selector tool that will run across online, app and earned media. The agency will also maximise the sports content produced by the publisher and amplify it through earned media. This includes working simultaneously with the publisher’s digital marketing and editorial teams on the brief. "The Racing Post is a British publishing icon with a range of diverse content covering the spectrum of UK sporting culture," Ready10 MD David Fraser said. "They are a trusted expert across racing, football, golf, boxing and a number of sports, but are only reaching a fraction of what is a huge potential audience. "Our job is to work hand-in-hand with both marketing and editorial in identifying the best ways to get Racing Post content seen online and to help the brand reach and engage with new audiences." Racing Post digital marketing director Gethin Evans added: "Our 2019 strategy is about taking our existing content and utilising it to increase our authority and reach. To do that, we wanted an agency that could advise us on the best ways to maximise the potential of our content through sharp media skills, creativity and new ideas. "Ready10 are an ideal partner for us – they understand sport, understand content, and work in a quick and creative way. We are delighted to have them on board."